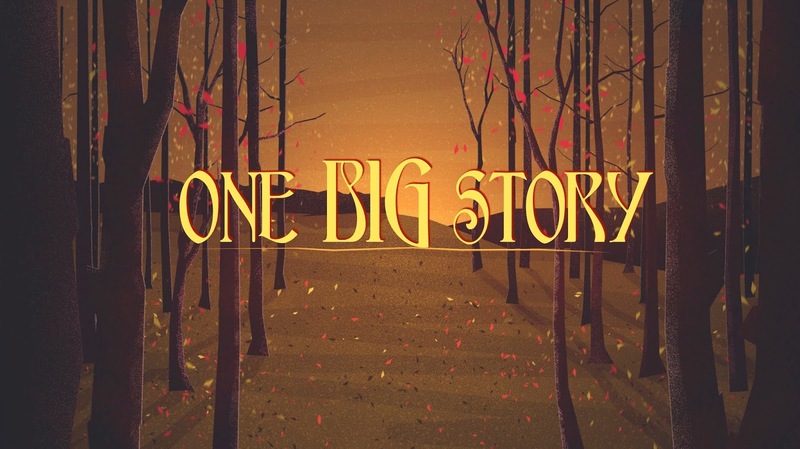 One Big Story - Week 8: "You Can Run But You Can't Hide (From God)"
Today we're going to be encountering another of the great characters from the Hebrew Scriptures: Jonah. And we're going to be learning something extremely important from one of the stories of his life. Like I said when I was a kid I was fascinated by this story. When I went to Sunday school back in the day we didn't have videos, computers and fancy things like that. We had flannel-graph. Flannel-graph was basically paper dolls. You had paper dolls and stuck them on a big cloth square. I was fascinated by the idea of a guy being swallowed by a whale, or a really big fish. And I was even more fascinated by the idea of a guy being in the belly of a whale or a really big fish for three days and three nights. I imagined Jonah in the whale's belly kind of like Pinocchio and Gepetto on a raft like in the Disney movie. When I grew up and started learning about literature and the way people form stories--I learned about the fascination that human beings have with stories of men and fish. There are countless stories throughout history about human beings and the mysteries of the deep, and I figured Jonah was just one of them. The fact that my ideas about Jonah being merely a fable also coincided with my general abandonment of Christian faith was not unrelated, however. But now, I see this story so differently, and I hope that today you will begin to see it differently, too. I'm not going to spend any time trying to prove this story to you. I think that's an exercise in missing the point. BUT I will say this: the moment we start eliminating the possibility of the miraculous as we read stories like this, is the moment when we may as well give up on the idea of an all-powerful and creative God. The first step toward God's will is to admit you are not in control. I have a question for you: Can you think of a time in your life when you quit rather than doing something that you felt strongly you didn’t want to do? I had a moment when I quit a job because of I believed that no human being should be forced to wear an outfit that looks like Capt. Steubing from the love boat. 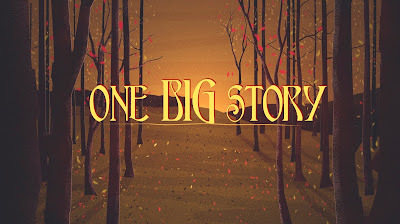 So let's dig a bit into the story of Jonah. First of all, the story begins with the word vayehi which is translated "And it came to pass," or "At that time," which is a similar way that Jesus would begin his parables, and then immediately moves into a command from God to Jonah. The "Word of the Lord" comes to Jonah to go and prophesy to the city of Nineveh and tell them that they will be destroyed, with an implication that they should probably think about repenting first. Interestingly, there are 40 verses in the book of Jonah that actually move the story forward--eight verses are prayers by Jonah. The number forty is significant in the Hebrew Scriptures as a number indicating testing or trial. Even more interestingly is the name Jonah, which is a Hebrew word that can mean "dove," which is often a word used to describe Israel itself. So what we see almost immediately is that this story is connected intimately to the Hebrew people. What is also incredibly interesting is that God tells Jonah to go to Nineveh, which is an ancient Assyrian city. The Assyrians are old enemies of Israel, and despite the fact that, at the time this story is taking place, they are a fading empire, the Hebrew people would not have felt at all kindly toward them. That's too soft a way to put it. They hated these people. The Assyrians had killed hundreds of thousands of Hebrew people, enslaved thousands more and all but destroyed the Northern Kingdom of Israel. So Jonah decided to resign as a prophet and get on a boat to take him to the farthest point that anyone had ever heard of--Tarshish. Scholars believe that ancient Tarshish could have been somewhere on the coast of Spain or near Carthage in North Africa. But at this point in history, it was the furthest point on the map. When a storm comes up and threatens to sink the ship, the superstitious sailors are convinced that someone had angered some god or another and eventually get Jonah to admit that it's him. He convinces them to throw him overboard, which they finally do, begging God not to hold it against them. So Jonah is swallowed alive by a sea creature, which is a word that is used in ancient Hebrew to describe any kind of large marine animal, and also to symbolize the forces of chaos within the waters. In Genesis chapter 1, for example, the primordial waters were chaotic but God controlled them, shaped them and created an orderly world from them. The storm is calmed, and the sailors actually offer a sacrifice (probably a grain offering) to God and make vows to remember the moment in the name of Yahweh. It's interesting that its the foreigners that show piety while Jonah seems entirely self-centered. Then Jonah goes to Nineveh and he preaches. He tells the Ninevites that God is going to destroy their city if they don't repent, and then he goes outside the city on a hill to sit and watch Nineveh get destroyed. While he is waiting outside the city, he sits in the shadow of a plant that offers him shade from the hot Middle Eastern sun. What he doesn't know is that inside the city the Ninevites have actually repented and God has spared them. When he realizes this, he is furiously angry at God. Then God causes the plant next to him to die, and he finds himself with no shade in the hot sun. He begins to lament and pray for death. Then God hits him with this. "You cared more about a plant than you did about people." Okay... now that you have the lowdown, let's think about what all this means. Jonah's struggle is against the will of God here--and he rebels when God's purposes don't align with his own. It's easy for us to judge him, but put yourself in his shoes. You kind of did a little while ago when you remembered a time when you quit because of your beliefs. Jonah, as it turns out, has no desire to throw lifelinene to a bunch of Ninevites. So he does three things--three things that all of us do when we start to wonder if God's purposes really are in our best interests. Or we start wondering if maybe we might know best what we need to be doing rather than what we might know God wants us to do. FIRST, Jonah tries to escape God's presence by running from the will of God. He doesn't want to do what God is asking him to do, so he decides to head the other direction. We know what this is like. It's that moment when your kid gets really quiet... too quiet and you know that they are up to no good. So what do WE do when we are struggling with God's purposes? Well, some of us might stay away from church... or we will leave our communities of faith, friends and the like. We'll flee from anything or anyone that might point us in the right direction. I ran away from God for over five years--avoiding anything and everything that would have reminded me of what I knew I ought to be doing. SECOND, Jonah tries to escape God's tasks by ignoring the word of God. Jonah was a prophet, and his job was go and speak the things that God had given him to speak. Because he felt like he didn't care for the task, he decided to resign his post. He ignored the word of God and walked away from his calling. So many of us do this in indirect ways. We'll ignore God's word when we think we're not good enough. We will say continuously, "I'm not good enough to do THAT." Or "God couldn't possibly use me because I'm not holy enough." We will also ignore God's call when we don't want to be good enough. We will think about all of the things we will have to change, our ideas, interpretations of the Bible perhaps. We will think about what we will have to give up--our notions about people we don't necessarily like, or behaviors we don't want to abandon. THIRD, Jonah tries to escape God's love by rejecting the wishes of God. God's wish was for the people of Nineveh to come to repentance, but they needed to be aware of their transgressions first. Jonah had no desire to put himself in a bad situation with people he didn't like, and had less desire to see them redeemed. We do this from time to time when we justify our unwillingness to reach out a helping hand to people in need. We might say things like, "They will just use the money I give them for booze..." or "If they would just get a job... get clean... get sober... get out of that relationship... change their beliefs... I might consider it." When we do this what we are essentially asking is, "How can God possibly love everyone?" There HAS to be a limit to God's patience and love, right? Because there is a limit to our own. Here's the thing that will ALWAYS HAPPEN when you run from God's will and try to flee God's call and purpose for your life. When you run from God's will you can expect a storm. There will be a storm. Maybe not right away, but there will be a storm. And I suppose I could just leave it there, right? There will be a storm, and you might get tossed overboard in the process. The end. Amen. Let's head to the parking lot. But that's not what God wants for you AT ALL. What happened when Jonah was tossed overboard? Did he sink into the depths. Did Jaws come and make a meal out of him? Was that the end of his story? NO! God did something extraordinary--God moved heaven and earth to envelop Jonah in safety and even though his circumstances weren't that awesome... he was alive and well. And God used Jonah to do God's will--even though Jonah hadn't figured it all out yet, hadn't worked through his junk, his fear of the other, his hangups and foibles. The unlimited patience, grace and mercy of God is more powerful than any storm, more powerful than the depths to which you have fallen. Remember what we said---The first step back to God's will is to admit that you're not in charge. And for many of us, this is the most difficult thing to admit in this process. As the story of the first people in Genesis teaches: Since the beginning --we've been struggling with God over who gets to run things. And most of the time we decide in our favor, don't we? Here's the thing, we don't seem to have any problem with abandoning God when it suits us. When we want to do things our way, in our time--it's all too easy just to shut God out of the equation. If you're like me--that's the moment when I play the "Why me?" card. Or the "What have I done to deserve this?" card. Before I know it, I am wallowing in misery. What I see here in this text, though, is that BECAUSE JONAH GAVE UP HIS DESIRE FOR CONTROL AND TURNED TO GOD he found MERCY in his MISERY. He found himself in a miserable situation, to be sure. But there was mercy in that misery. There was life in what seemed like death. There was heaven in that little bit of hell. If you are running from God today, if you are experiencing the storms even as we speak--I want to speak this word of hope into your life. You are not alone. No matter how far you have run to escape God's will, God's word and God's love---God is with you in the midst of it all. Turn to him. He will lift you up, and not let you be consumed. But you have to let go, and stop white-knuckling your life, and to let God have it all. My friends, the first step back to God's will is to admit that you're not in control. And here's something amazing that I was saving for this moment. The last words that Jonah utters before the whale regurgitates him on to dry land are these: "Salvation belongs to the LORD!" In Hebrew, those words are yeshuata leyahweh. As Christians, we can't read this story and not be reminded of what happens when we surrender to the God who raises the dead. Those words yeshuata leyahweh... Jesus' name in Hebrew was Joshua, which means "Jehovah Saves." You pronounce Jesus name in Hebrew as Yeshua. When you read the final statement of Jonah's prayer you hear the name of Jesus and are reminded of the hesed the covenant love of God for his people. How cool is that? You are not in control, my friends. But the One who loves you so very much that he went to the greatest lengths possible to rescue you from sin and death... He is most definitely in control.